Perfect for trips to the beach, picnics in the park, or outings at the grocery store, this high quality rolling bag will preserve, protect, and contain a whole load of stuff. 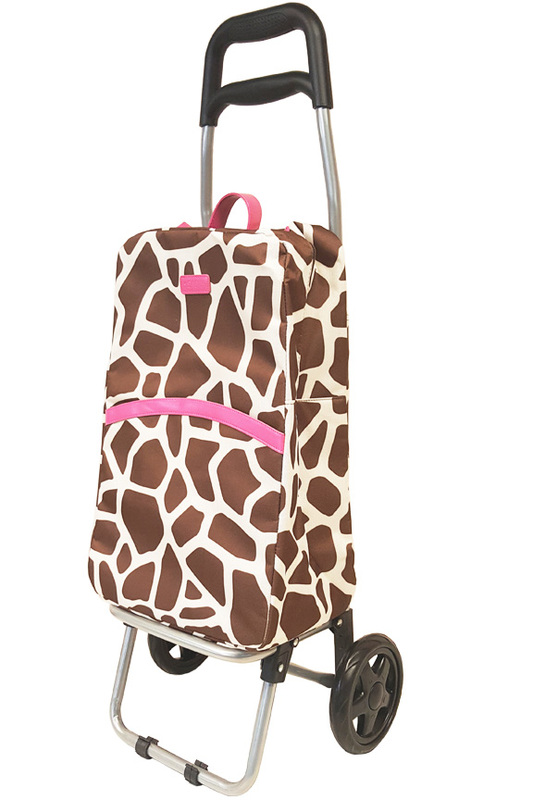 The insulated tote lifts off the rolling trolley easily, and it has a handle on top to make removal easy. 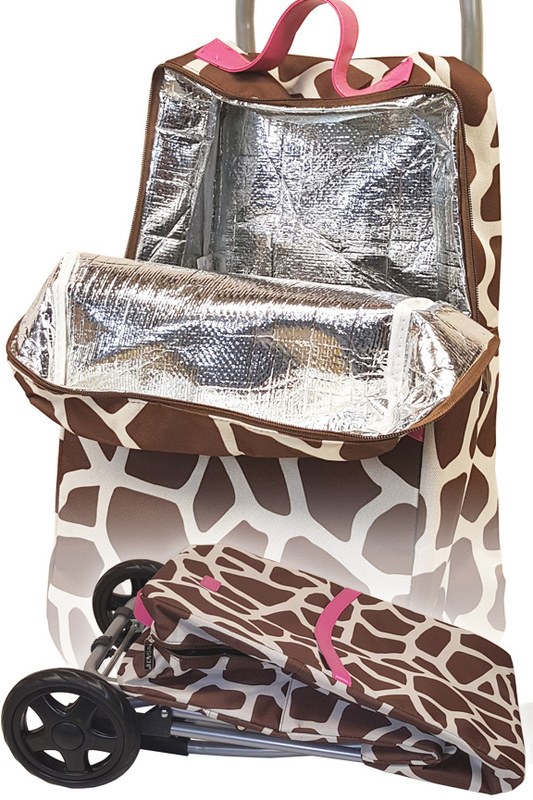 The interior of the bag is completely insulated, and a zippered closure opens all the way to allow for easy access. Extra pockets at the front and on the inside allow you to carry a wide variety of things, and also to separate small, heavy or delicate items as necessary. Large zippers that glide easily, rubber stops at the base, and an easily collapsible frame ensure easy function, while the rugged materials and quality construction ensure long lasting durability. The combination of large wheels that roll smoothly, and a wide handle with ergonomic design allows anyone to effortlessly pull this trolley, even when it's full. Quickly fold it flat to store it almost anywhere, and easily lift off or secure in place the removable bag as necessary. Thanks to the upgraded interior, you'll be able to preserve hot or cold items, but this rolling cart can be used to hold anything, so feel free to pack with books, binders, clothing and other stuff too. High Quality. Thick material, quality stitching, effective insulation and improved construction create useful tool that will provide years of service. Insulated. Make sure groceries remain cold until you get home, or take hot side dishes with you to a party. Easily preserve the temperature of foods using this trolley. Durable. A sturdy frame, and a rugged bag guarantee that it won't wear out, break, or fail with repeated use. Easy-To-Use. Simple to fold and unfold, easy to pull under any weight, and a snap to separate the two parts. This rolling storage bag is incredibly easy to use. Lightweight. Very strong, but also easy to handle due to light, but tough materials. Lift it into your trunk with little effort, and pull it around without any trouble. Versatile. Use it for groceries and prepared food, or use it for anything else. The tough material can hold up to anything you place inside, and the large wheels ensure it's easy to roll around. 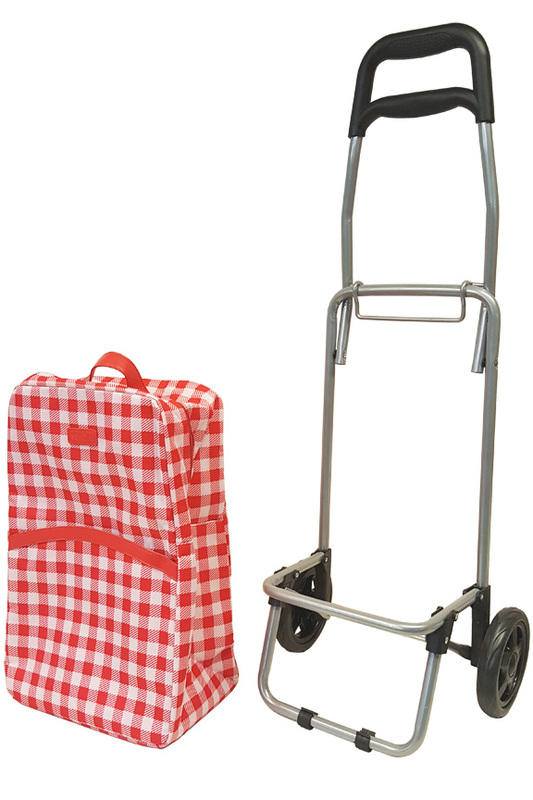 Includes: (1) rolling shopping cart with insulated bag. Overall Dimensions 12" x 14" x 36"
Bag Dimensions 12" x 18" x 8"
Uses Transport loads of stuff easily. Washable Yes. Wipe clean and air dry. Easily carry large loads of groceries and other stuff with little effort. 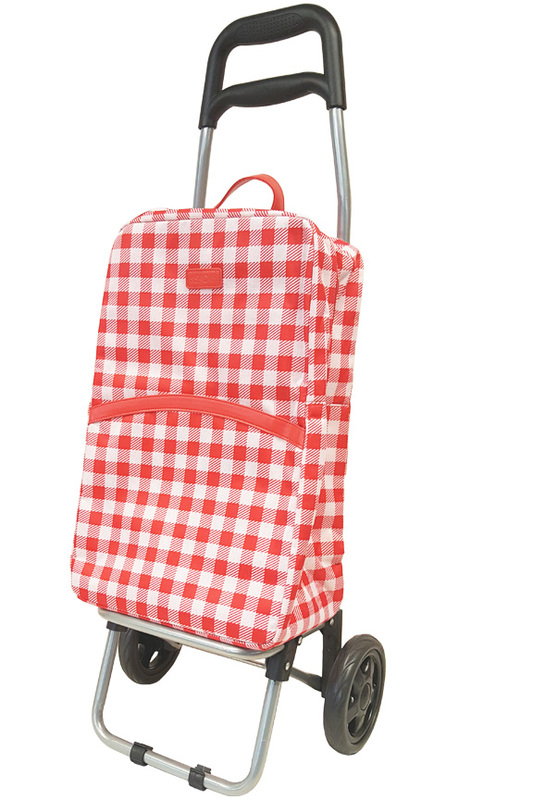 This rolling cart comes complete with removable insulated bag. Order Yours Today! This is a very nice shopping cart. This is a small but substantial shopping cart that is extremely simple to put together. It carries small groceries that are heavy to carry - for example, milk and several other items. I also use it to carry items to my painting class in art school. Strongly Recommended!